The video game industrial complex wants you to play Destiny 2 right now, but spare a moment for the first Destiny. It’s on its way to becoming a ghost town. I got into the first game 11 months late in the summer of 2015. It was lively then, and my timing was good. Myriad patches fixed a lot of year one nonsense. This was the eve of the release of the grand Taken King expansion, when the game’s quality would soon peak. I take my time getting to a lot of games. Waiting is sometimes good. Let others beta test. Let’s see the game fill up with DLC. You can get to a game like Destiny too late, because a game like Destiny doesn’t last forever. The PvP will fade, of course, as it does for most shooters. I can’t speak much about that for the first Destiny, but I can speak more knowledgeably about the massive PvE portion of Destiny 1. People are still playing the first game, but a lot of them are moving on, and that makes certain key activities that benefit from group play suffer badly. If you’re into the PvE, you’ll still find people running through the game’s social spaces, but you will find fewer people to play co-op Strikes with and you’re going to have a very tough time if you want to play a Raid or check off some of the higher level story-oriented quests. The servers might still be on, but a dwindling player base can leave a game like Destiny hurtling toward rapid obsolescence. This is a concern that game preservationists deal with when they struggle to keep old multiplayer games accessible. I felt like I was witnessing that in recent days, almost like watching a language die not because it has been erased, but because there are so few left who speak it. But when I tried a few co-op Strikes I’d yet to play, I often found myself grouped with one player instead of two. I sometimes found myself grouped with no one. Strikes can be played solo, but they are balanced for three players of a certain recommended level. The game’s toughest Strikes aren’t going to be fun to solo, if you can even do it, unless you’re the most elite of players. You could just ignore Strikes, of course, but Destiny’s Strikes do expand the game’s story. 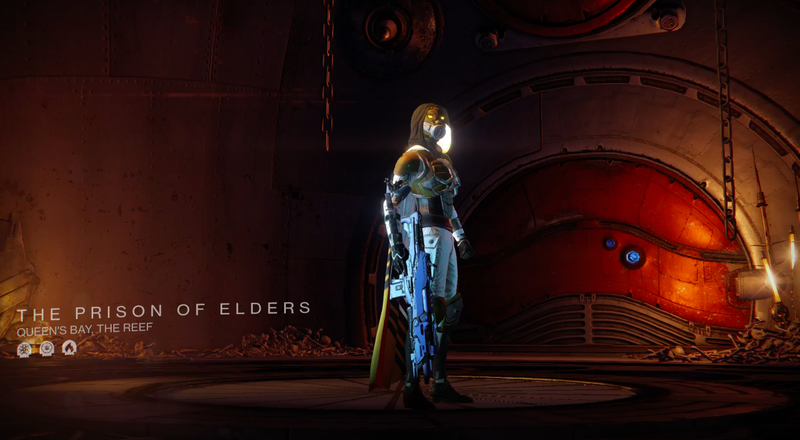 The game’s final expansion, Rise of Iron, for example, remixes a few Strikes with the narrative conceit that some enemies had been resurrected by SIVA technology. Want to see what became of some of the game’s longstanding villains? You’d want to play the Strikes. Last March, Destiny’s developers added an in-game log called the Book of Triumph, which shows players how much of the game they’ve experienced. You can track how thoroughly you’ve used your Hunter, Warlock or Titan’s abilities and chart your progress in Raids or in the Crucible. With an eye toward Destiny 2, I was focused on how much of the first game’s story I’d seen. It can be hard to tell, since some story is delivered in main missions, some in side stuff. My Book of Triumph informed me that I hadn’t achieved the At The Gates story milestone, which, confusingly, encompasses completing the At The Gates questline and the Return to the Prison quest. The former is a multi-step set of missions requiring you to play through a Strike. No big deal, except that, this past weekend, I initially couldn’t find anyone else playing it. I’d try to matchmake, would wind up on my own and would die quickly. Eventually I found others playing, and we blasted through it. I’ve had less success with the Return to the Prison quest. That’s a sequence of missions that culminate in something called Challenge of the Elders, which is designed for three players and, like the game’s Raids, does not support random matchmaking. You must manually find other people to play it with or try it solo. When I’ve tried it solo, I’ve been obliterated. When I’ve reached out to Destiny friends and colleagues who could play it with me, they’re busing playing Destiny 2. Even some of the more generous ones just don’t have the first game installed anymore. People have moved on. It’s probably no big deal if I don’t finish At The Gates. I could read about its narrative import on many a Destiny wiki, if it even has any narrative import at all. But I’m struck that a game that was as popular as Destiny just a year or two ago already has corners an earnest player will struggle to clear. Destiny is three years old, but the threat of abandonment looms. Couldn’t do it. Couldn’t come close.